HERMANN, Mo. 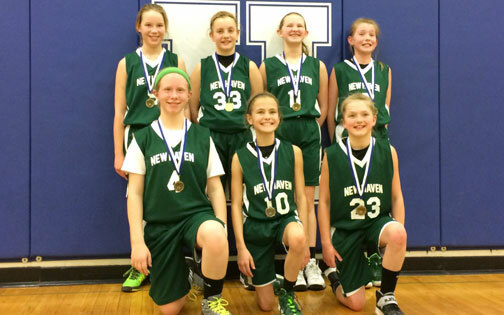 - New Haven’s 5th Grade Girls Basketball Team racked up another first place finish this past weekend by winning the Hermann Tournament. New Haven, seeded first in Saturday’s seven team tournament was given a first round bye before defeating Montgomery County 33-6 and advancing into the championship game. The Lady Shamrocks took care of business by knocking of Owensville 36-14, picking up their third tournament championship and ending their season with a record of 14-4.